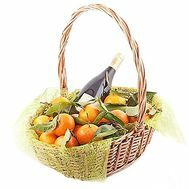 A fruit basket is a useful gift that is relevant at any time of the year. 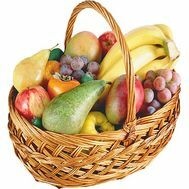 Choose it much easier than flowers - fruits like everything, both ordinary and exotic. 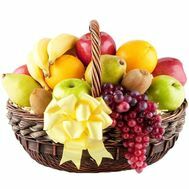 They will bring not only joy on a weekday, but also add strength and energy to the recipient. 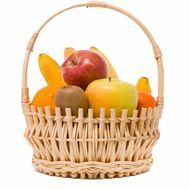 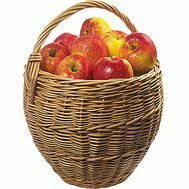 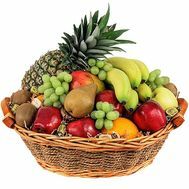 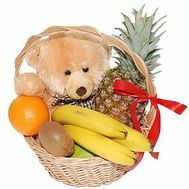 To order a fruit basket with delivery is easy, just make a few mouse clicks and a gift from nature itself will be yours! 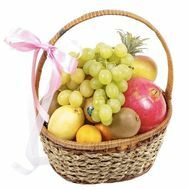 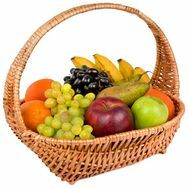 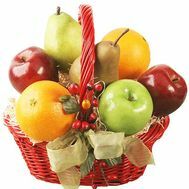 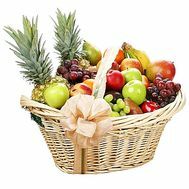 Gift basket with fruits - who will get such a bright gift? 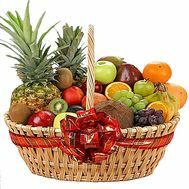 Fruit is a sweet and original present, which is not only beautiful and polysemantic, but also useful for its properties. 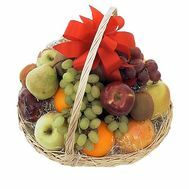 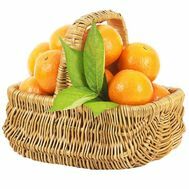 Baskets with exotic fruits for the New Year: a warm present that will give bright emotions to your beloved people. 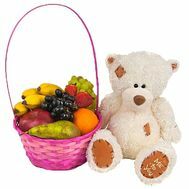 It is recommended to give to family members, as well as the most expensive and important - a beloved husband or girlfriend. 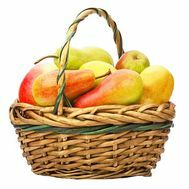 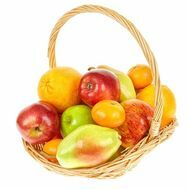 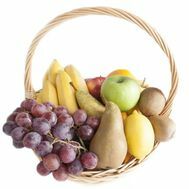 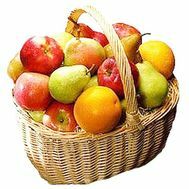 Buy a basket of fruit - a great solution. 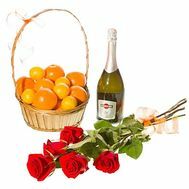 You no longer need to worry about choosing an individual gift - the versatility of this presentation will give it to any recipient, both small and very adult. 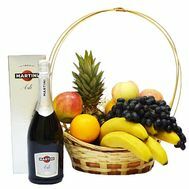 For more traditional and strict, we recommend to buy a basket with fruits and champagne - an excellent gift that not only can be tried, but also to note the occasion for which it was presented. 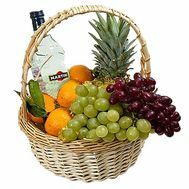 Each of our baskets is an original greeting, capable of turning the recipient's world from head to foot. 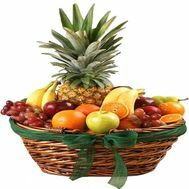 If necessary, we can also add a free postcard with the text you have written so that the surprise is brighter and more pleasant! 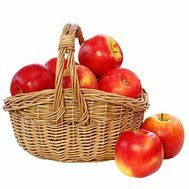 Our store, which has more than 10 years of experience, provides 100% quality assurance of products. 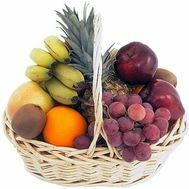 This means that each fruit and each basket will be made individually and checked for quality and freshness. 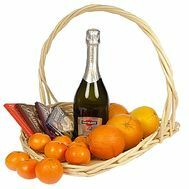 It is extremely important for our customers to enjoy quality shopping. 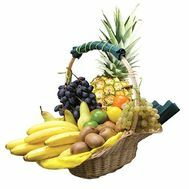 We provide many payment methods for your convenience, as well as courier delivery, which is considered the fastest and best in Ukraine. 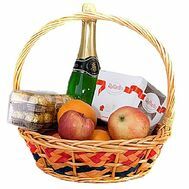 Each our courier carries out timely delivery of the order, thanks to which more than 20 000 surprises were created. 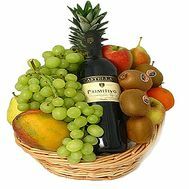 About this and much more you can read in our reviews written by happy customers, as well as view the photo of deliveries - our small gallery of glory.